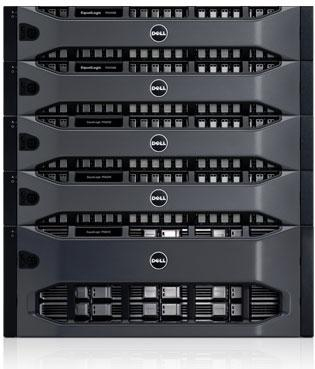 New-generation Dell Storage PS Series arrays streamline storage management and improve and simplify performance for lasting value. 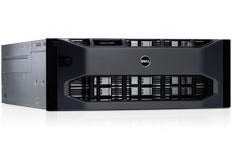 The Dell EqualLogic PS6210 array allows you to manage more data with fewer resources, and integrate with common application environments and various operating systems. In addition, the latest Dell Storage PS and SC Series software releases provide common management and cross-platform replication capabilities, allowing you to take advantage of new functionality while utilising existing investments. The Dell PS6210 Series arrays provide enhanced, simplified performance for the small-to-medium enterprise. Dell EqualLogic PS6210 arrays can drive up to approximately 2GB/sec of throughput per array for sequential, large-block workloads. In addition, flash-enabled PS6210 arrays provide up to three times the random performance of prior-generation arrays. The PS6210 adds new levels of performance and convenience to the Dell Storage PS Series portfolio. 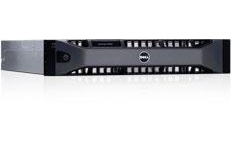 Dell was recently given the iSCSI market leader award for the sixth year in a row. As a part of the new generation of EqualLogic solutions, the PS6210 Series helps accelerate your most critical business services and application tasks. Powered by the updated firmware, the PS6210 family of high-performance arrays is ideal for virtualisation, databases, consolidation and heavy IO applications. Build out and customise your storage system to meet your needs by combining PS6210 arrays and FS76x0 NAS appliances with existing EqualLogic arrays. 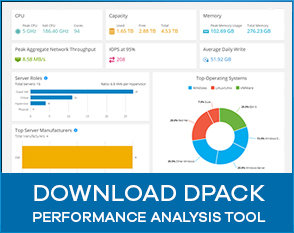 Create the precise balance of speed and capacity that allows your data center to power through whatever comes next, from massive, complex workloads to everyday business activities, without skipping a beat. All-flash array giving the highest random read IOPS performance and lowest latency in the PS6210 line for the most demanding enterprise applications. The SSD-enabled PS6210 arrays can deliver customers flash at the price of disk with a new level of performance in the EqualLogic family — twice the maximum IOPS as prior models for the most critical applications. All-flash PS6210S arrays provide load-balanced performance and dense SSD capacity. Enables SSD speed and HDD capacity within one array. Provides both entry-level configurations for affordable capacity and high-capacity configuration for data-intensive applications, highly consolidated environments and collaboration applications, such as Exchange and SharePoint. Highest performance HDD system in the PS6210 Series for critical applications.